This is a forum for past and future attendees, and those who like the concept of the seminar. Next seminar will be held on 30 July 2016. 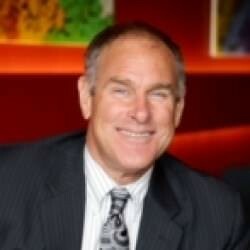 Confirmed speakers: Rick Rule, Doug Casey, Jan Narveson, etc. Thanks Jayant, looking forward to watching them. Also, looking forward to you all moving to the southern hemisphere. It has got delayed a bit, but the videos are almost all ready. We will have linked all within two weeks. I hope this audience will enjoy this years conference as much as I do. Who knew there were that many libertarians in Vancouver BC. In my opinion, every year, this conference has improved, and this years line up, and assigned topics will be easily the best Jayant has had. Thanks for posting Dr. Edelstein’s speech. It was,as always excellent work. I have been a student of Dr. Edelstein for twenty years, going back to the old Eris conferences, and drawn tremendous personal benefit from employing behavioral techniques he teaches. Jayant, I’ve seen many of these YouTube videos. I love the rhetoric and information from each speaker. It seems like you all keep good company. Thank you for creating this seminar. Since viewing I have increased the frequency of a few words in my vocabulary, including: Utility, Coercion, Capital, Secession, Monopoly, Value, and many others I have neglected, that really contain the power to help people un-think fallacies. I never really considered the possibilities that exist in the world, for a long time, because of the constant reinforcement of the lie that “It can’t get much better, this is how it works.” Your story about the Firemen in India was alarming, and an insight lending perspective. Thank You for putting this all together, I’m looking forward to seeing more. It may seem that you have all formed a club where you lecture to each other and nod your heads in agreement, but you have no idea how elated I was to find these lectures, and to realize there were other people that had common belief. This is fun stuff. Thanks for your kind words, D. A. This seminar has indeed become a great place for like-minded people to meet. We all try to learn from each other and grow, challenge our paradigms and attempt new ways of looking at life outside the boxes that our social indoctrination might have created for us. We often have very productive discussions. Hope you can make it some day, but if not, we will continue to upload all videos. I love that the internet makes it possible to discover new ideas and connecting with like-minded people! I binge watched past videos before attending last summer. I’m really looking forward to attending and participating. All years have been great, this will easily be the best yet. Given that this will be a two-day event, we will have good socialization time as well. Every speech and speaker is chosen to challenge our thinking. Apart from you–Rick–we have Doug Casey, Dr Warren Farrell, Walter Block, etc. Everyone will be talking against some conventional wisdom. Also, another high-profile and speaker will speak at 8:30am on Sunday. His name will be announced in two weeks. As usual, I hope the audience will leave with some of their ways of thinking changed. I really like the idea of following the conference with a picnic. The prior meet ups in the pub were to noisy and confining. I’m looking forward to the informal discussions that are certain to take place at the picnic, with everybody excited about the conference talks. Note, I suspect that the public parks have open container regs, so we will have to be a bit surreptitious. And there is still a great, additional, mystery speaker to be announced after two weeks. The next event will be on 29th July 2017. Speakers: Rick Rule, Doug Casey (who will speak on, “Heroes of my Novels: Speculator, Drug Lord, Assassin, Terrorist, War Lord and Antichrist.”), Adrian Day, Albert Lu, Jan Narveson, and many more. Registration will open soon. Any news on this years speakers and pricing at Capitalism and Morality ?. By the way, your YouTube channel is great.